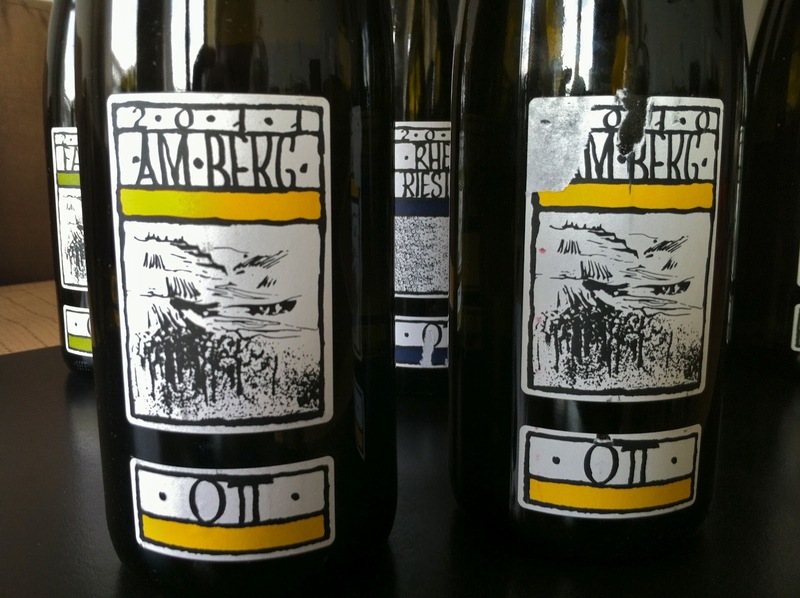 A few years ago on my buddy Peter's recommendation I bought one of Bernhard Ott's wines, a Grüner Veltliner called Am Berg. I thought the wine was great, and at under $15, a great value too. But when I went to buy more it was gone. Years went by and I continued not to see this wine in stores until a few months ago when all of the sudden some of the 2010's started showing up on the shelves. Finally - the wines are excellent and well priced. Why are they showing up now? There has been a change of importers - Winebow used to handle Ott's wine, but now it will be Terry Theise/Michael Skurnik. Word is the wines will be easier to find going forward and we should be glad for this. 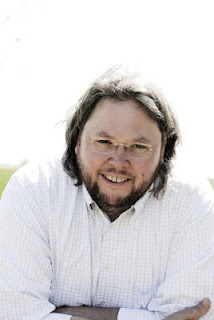 Bernhard Ott's vineyards are almost all located in the towns of Feuersbrunn and Engabrunn in the northwest corner of the Wagram, the region to the east of the more renowned Wachau, Kamptal, and Kremstal regions. I think of the Wagram as the Wachau's less talented sibling. There certainly are some good wines, but the overall potential is less than that of the Wachau and the Kamptal That said, Bernhard took over farming and wine making duties in 1995 and now is to be considered one of the finest, if not the finest producer in the Wagram. Photo courtesy of Der Feinschmecker German wine award website. 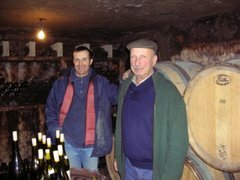 Bernhard Ott changed the methods of farming at the estate, encouraging cover crops, avoiding pesticides, and now is almost fully certified by Respekt, a new alternative to Demeter in biodynamic certification. 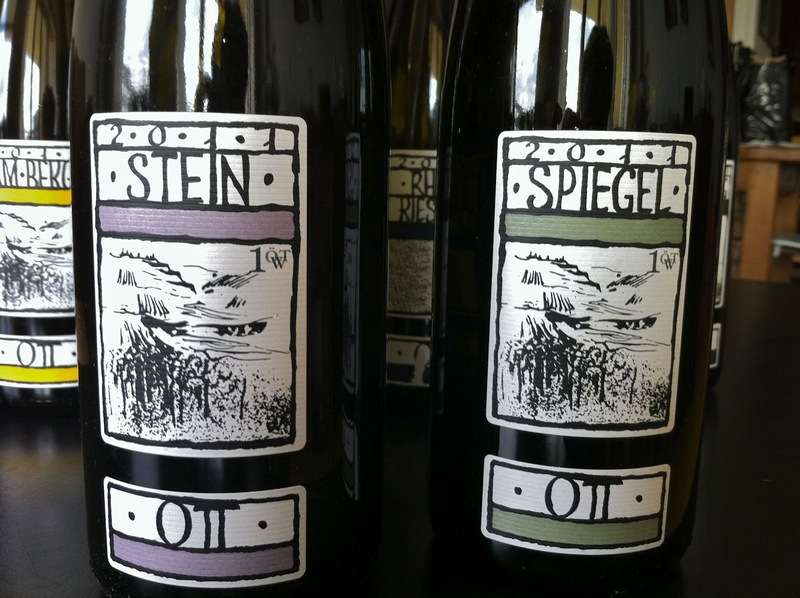 He also changed some aspects of wine making, fully embracing the very reductive style that is more and more common among Austria's great dry wines. All closures are Stelvin, the wines are all raised in stainless steel tanks (except for a new amphora wine that I've never tasted), and there is little or no stirring of the lees. So what do these wines taste like - why do I like them so much? 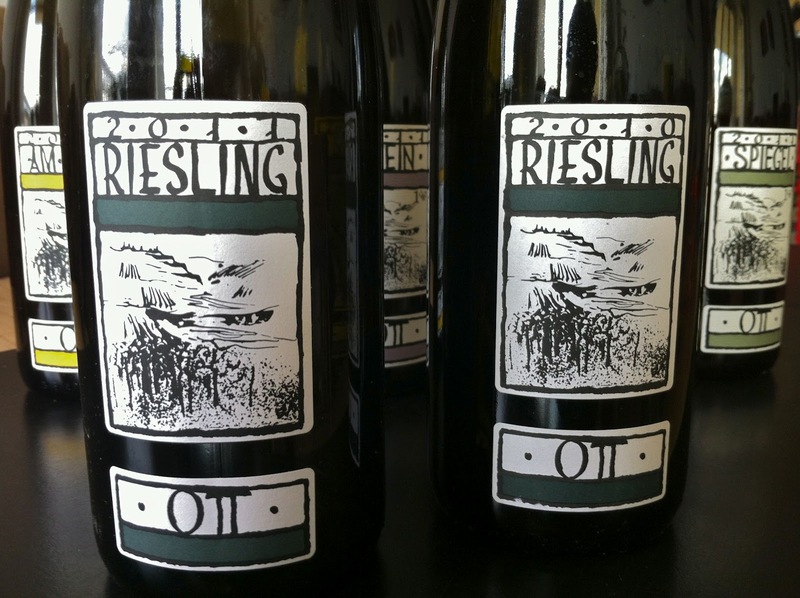 Grüner Veltliner from these vineyards and in Ott's hands tastes fresh and pure, with focused and detailed articulation of aroma and flavor, and with great resonance on the finish. They are balanced and elegant, and yet offer a lot of potency and depth. They are delicious wines and they are flexible with food, and here I'm talking about wines that all cost less than $25 - I had never tasted the top wines when forming this opinion. Three of Bernhard Ott's wines were not represented in this dinner. 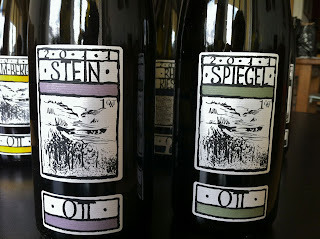 Der Ott is a blend of grapes from young vines in Ott's parcels of Rosenberg, Stein, and Spiegel. And the Grüner Veltliner Rosenberg, probably Ott's flagship wine, was not available, neither was the amphora wine. The results were quite interesting. 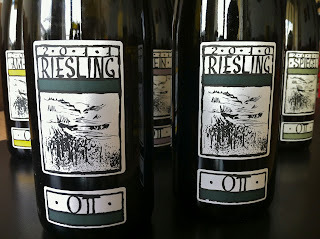 The 2010 wines showed beautifully, particularly Am Berg and the Riesling von Rotem Schotter. There was disagreement, however, about the 2011's. No one thought they were as good at this point as the 2010's. Some tasters, myself included, found things to like about the 2011's, while others felt that the qualities of the 2011 vintage were not flattering for this highly reductive style of wine. I thought Bernhard Ott's wines were delicious and intriguing before this dinner, and I am unchanged in that opinion. 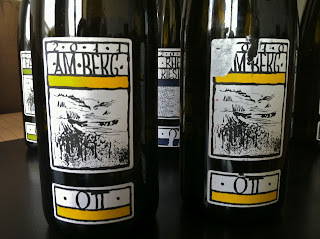 I think that Am Berg is among the better white wines at its price point and if you've not had an Ott wine but are curious to try, Am Berg is an excellent wine to begin with. As to Ott's 2011's in general, I withhold judgment. They did not show terribly well on this night, but as one very experienced taster said during the dinner, "Who knows where these will be in a year. 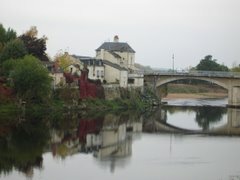 Had we been drinking the 2010' a year ago, would we be having the same experience? If Am Berg 2011 is tasting good now, wouldn't you believe that the other 2011's will show better in a year?" 2010 Grüner Veltliner Am Berg, $16. At 11.5% alcohol this is perfectly balanced and expressive, with lovely herbal, citrus rind, and stone flavors. At times I get hints of something like sour cream in this wine. It is in a wonderful spot for drinking right now, harmonious and feathery in texture and just delicious. Friends, as a public service to you, I will tell you the few places where I know you can still buy this excellent wine, in NYC anyway: Sherry-Lehmann and Appellation Wine & Spirits in Manhattan, and Picada y Vino in Brooklyn. There may be others, who knows, but this wine is worth looking for. 2011 Grüner Veltliner Am Berg, $18. A bigger riper wine than the 2010, but still balanced and expressive with lemongrass and citrus notes, and a mineral pungency to the finish. This wine is still coming together, and although I prefer the style of the 2010, I think this is an excellent Am Berg with lots of pleasure to offer. 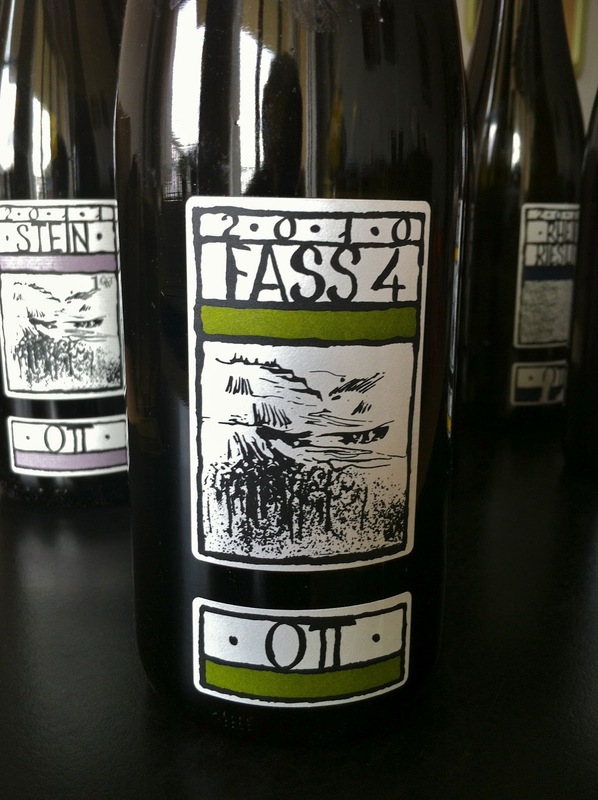 2010 Grüner Veltliner Fass 4, $22. Fass 4 grapes come from several parcels near the Rosenberg vineyard. It is a richer wine than Am Berg with a rounder feel to it. This one has floral notes to complement the fruit, and is balanced at 12.5% alcohol. 2011 Grüner Veltliner Fass 4, $26 (This wine was donated by Michael Skurnik Wines). Also 12.5% alcohol, but this felt disjointed. One taster asked if the wine had been acidified. I doubt that Bernhard Ott acidifies his wines even in a very warm vintage like 2011, but I don't know. 2011 Grüner Veltliner Stein, $55 (This wine was donated by Michael Skurnik Wines). This is an unusual wine within the Ott lineup. The Stein vineyard is in a part of Engebrunn that technically is in the Kamptal, and the soils are gneiss and chalk in addition to the more typical loess of the Wagram. Ott's vines in Stein are over 50 years old. Several tasters found the same disjointed problems here as they did with the other 2011's, but I really liked this wine and thought it was still improving as we finished it. At 13.5% it felt balanced to me. The nose was rather lean at this stage, but I liked the intensity of the flavors and the wine felt linear to me, not overripe. I would like to taste it again in 5 years to see if it can achieve a better sense of harmony with time. 2011 Grüner Veltliner Spiegel, $55 (This wine was donated by Michael Skurnik Wines). I really liked the pungency of the nose on this wine, with clear and classic flavors of lemongrass and white pepper. Coiled up and young, but seems to have a lot of potential. My sense was that the group preferred this to the Stein, but there were exceptions. And there were tasters who didn't like this wine as much as I did. 2010 Riesling von Rotten Schotter, $22. Most at the table thought this was the wine of the night, and it was indeed a very lovely wine. 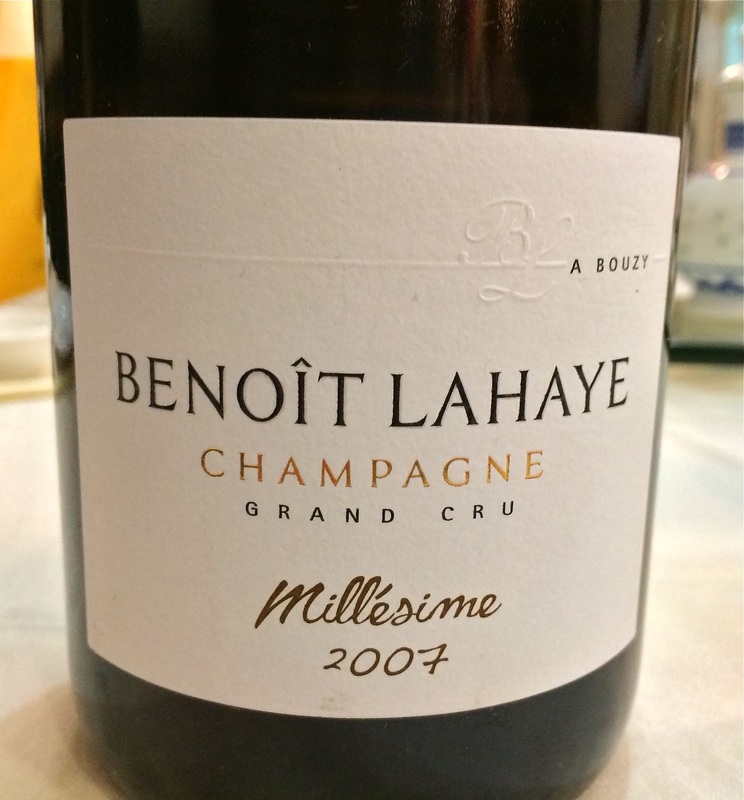 Clear as a bell, focused, and also ample in fruit and body, very delicious. I enjoyed the variety of flavors - brown spices, flowers, rock, orchard fruit, and all very fresh. Made from red (slate?) and gravel soils at higher elevation than the Grüner vineyards. As a public service to you, my friends, I will tell you that you can still find this wine at Prospect Wines and Fermented Grapes in Brooklyn. 2011 Riesling von Rotten Schotter, $29 (This wine was donated by Michael Skurnik Wines). Strange, because even though this wine comes from a higher elevation than the single vineyard Grüners and therefore might be less ripe, this one felt warmer and more disjointed initially. It improved with time in the decanter, but I don't feel like I understood the wine and I'm not ready to say anything yet. 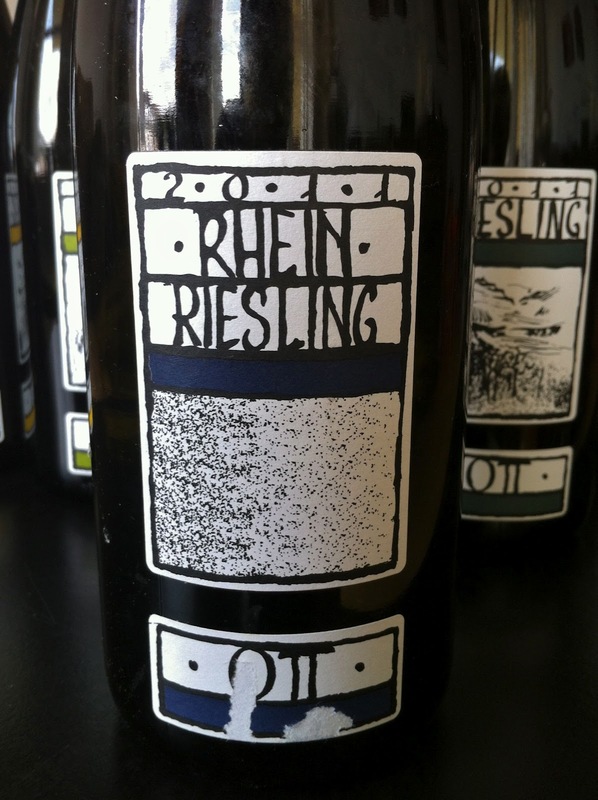 2011 Rhein Riesling, $59 (This wine was donated by Michael Skurnik Wines). This is a tongue-in-cheek reference to the off-dry wines of Germany, where Bernhard Ott spent some time working at the Leitz estate and fell in love with the off-dry style of Riesling. I liked this wine very much and it was great with our summer rolls, with slightly earthy and airy aromas, and clean and bold flavors. I wanted to go back to this wine when we re-tasted everything, but it was gone, which I take as a good sign. From Julia Harding, via the Jancis Robinson website. From James Wright via Wine Monger, a commercial site. got my dry Muscat fix along with some other surprises. 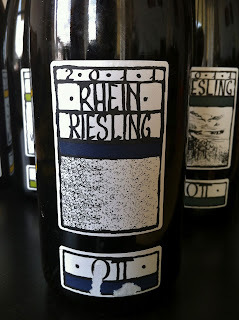 FYI-- we don't have much left of the Ott Riesling 2010 at Fermented Grapes. Wow! awesome collection of wine. Emmanuel Houillon / Pierre Overnoy Dinner. Writing Tasting Notes is not Easy.